Jerry Kang, Racial Violence Against Asian Americans, 106 Harv. L. Rev. 1926 (1993). This piece documents the problem of racial violence against Asian Americans. In addition to providing some sense of the magnitude and harm, it provides some theoretical clarity by distinguishing between “rational targeting” (in which criminals use race as a proxy for information) and “racist violence” (crimes motivated by racial prejudice and hostility). 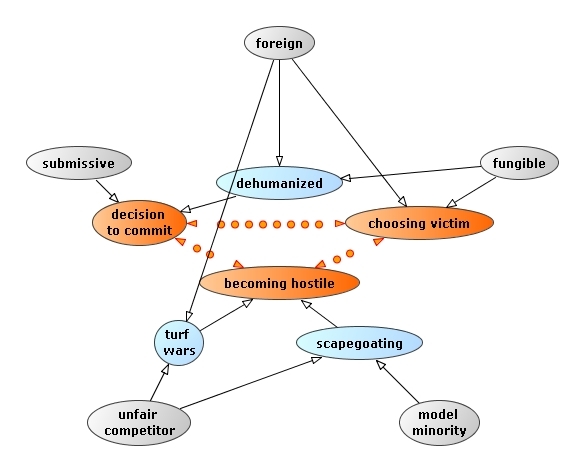 It also provides a simple psychological model, in which five common stereotypes of Asian Americans act (submissive, model minority, unfair competitor, foreigner, fungible) as catalysts for violence.